Sting is made from a fuzzy yellow material with a black stripe on his body. His head is black with a peach coloured face, two large orange and black button eyes and a red nose. He has orange arms and legs and two, tiny orange antennae on top of his head. I’m the Spelling Bee champ for goodness sake! 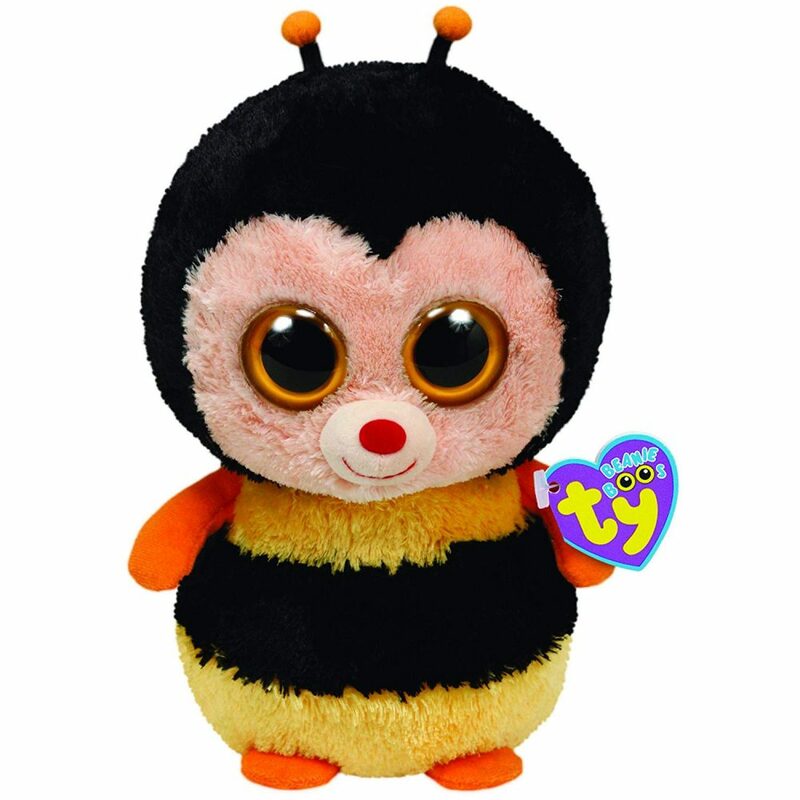 Sting the Bee was introduced on 2nd January 2012. This is the small 6″ version of Sting. He was also released as a medium 9″ Beanie Boo Buddy and as a key clip.